Compare current, customized mortgage refinance rates from our top-rated lenders. To start, simply enter in your type of loan, your home's current value, your current mortgage balance, your home typeand your credit score. 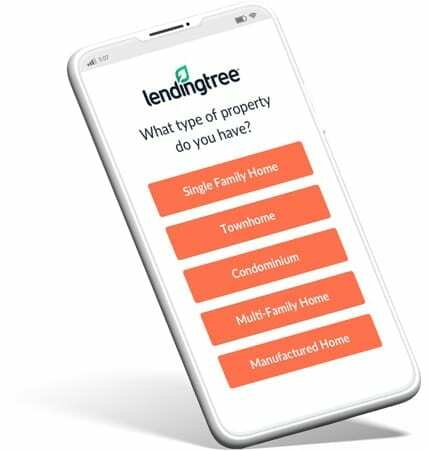 LendingTree will allow you to comparison shop different interest rates and APRs, helping to save you the most money possible on your mortgage refinance. The last week of June 2016, 30-year fixed mortgage rates were 3.48%, according to Freddie Mac. That time last year, 30-year fixed mortgage rates were 4.06%. That’s a decrease of 14%, but experts do not expect rates to continue falling. If you’re in a position to refinance, now is a good time to act before rates start rising. Use our Refinance Payment Calculator to see what your new mortgage payments will be if you refinanced. Then, head over to our refinance calculator for a complete analysis on how much money you could save over the life of your mortgage by refinancing. Refinancing your mortgage is just like taking out any other loan-it’s going to come with costs and fees associated with processing and closing the loan. Our Refinance Breakeven Calculator tells you exactly when you’ll break-even on the cost of your mortgage refinance. In other words, it tells you when the savings from the refinance covers the cost of refinance. There are many reasons why people choose to refinance their mortgage. Some want to lower their monthly payments, some want to take cash out of their home to pay for home improvements or other expenses (called a cash-out refinance), some want to switch from an adjustable-rate to a fixed-rate mortgage, and more. If your still having trouble deciding whether or not you should refinance your home check out our recent articles below.